I don’t know about you, but I haven’t been so excited for something—really anything— since they announced they were rebooting Jurassic Park. Giant dinosaurs, Chris Pratt, how could they screw it up? Well, for starters, they changed the damn theme song—arguably the greatest piece of music of all time. Hell, it played at my wedding. So why’d they mess with a good thing? Well, like my daddy told me when I caught him putting a new goldfish in my tank, “Son, sometimes things go away, and they come back, and they’re new. And it’s different, but the same.” It took me a long time to understand but now I get it. So while Ford has two vehicles coming back, and one vehicle significantly refreshed, they’re sort of the same—but different, and better. I, for one, am very excited about these upcoming Ford models. And if you aren’t now, you will be by the time you’re done reading this. Much like the visionary John Hammond brought back a few extinct species, Ford has seen fit to bring back the Bronco. All new for 2020, the vehicle behind the most iconic piece of news footage about an athlete not on a field, the Ford Bronco is back. And it is looking badder than ever. Remember, this is the vehicle Dwayne “The Rock” Johnson demanded to drive in Rampage (sure to go down as this generation’s Gone With the Wind). This offroad SUV is poised to be more capable of slicing through the backfield like a young OJ in his prime. This Bronco won’t be buckin’, thanks to Ford’s Intelligent AWD. No sir, this Bronco is fit to be all precision (think John Elway winning Super Bowl XXXIII in a Broncos uniform, not the sloppy, losing 8 games in a row, 5 and 11 Broncos of 2017). If a little good old-fashioned football doesn’t get you all riled up and excited for these upcoming Ford models, may Henry Ford have mercy on your soul. Not quite resurrected like the Bronco, since there were versions tearing up the dunes and deserts of Australia and Africa, the Ford Ranger that will bless the domestic market—for the first time since 2011—will return as an all-new model, built Ford tough truck. How tough is it? Well my friend, I once saw a tree move out of the way so the Ranger could drive past it. The all new Ranger needn’t rely on intimidation tactics though, oh no. Ford’s Terrain Management system, first found on the Raptor, lets you decide between 4 modes (Normal, Grass/Gravel/Snow, Mud/Ruts, and Sand) meaning you forge your own paths in the Ranger. It’s the vehicle for Chuck Norris — and if the opportunity to drive the same vehicle as Chuck Norris (so I’m told) isn’t enough to get you excited for these upcoming Ford models, then you clearly haven’t seen Braddock: Missing in Action III in too damn long. Last on our list of upcoming Ford models you should feel excited for is the refreshed Ford Edge. Ford has taken the Edge to the uh, umm, precipice of what you think a crossover SUV can be. Sure, the redesign takes an already great looking vehicle and improves upon it—no one will argue with you on that. But performance is where the Edge sharpens its, uh, already killer appeal. The Edge has historically been the playground for Ford’s latest technological advances, like autonomous emergency braking, and the 2019 is no different. Add in a shift from a six-speed transmission to a nine-speed transmission, and this smooth and efficient crossover SUV will have no trouble on road or off. Not enough for you? Well how about Ford’s first performance SUV, the Edge ST? A turbocharged V6 engine good for 335 hp and 380 lb-ft of torque makes the Edge ST a worthwhile addition to the ST lineup, and a worthwhile addition to our list of upcoming Ford models you should feel excited about. Now if you aren’t pumped up for these upcoming Ford models, I’d consult with a doctor since something is clearly wrong with you.  And if you are pumped for these upcoming Ford models, then come down to Team Ford and see what it’ll take to get you behind the wheel of one of them. Of course if wicked capabilities and monstrous power aren’t your thing, I could probably direct you to Martha Stewart’s website.